Vanessa Verduga, shown at right, was nominated for a LA WebFest award in the category of Outstanding Lead Actress in a Comedy for her webseries "Justice Woman" (in which she writes, directs, produces and stars). Paola Poucel booked the role of Farmer Ana María of the Nick Jr. television series "Dora and Friends". 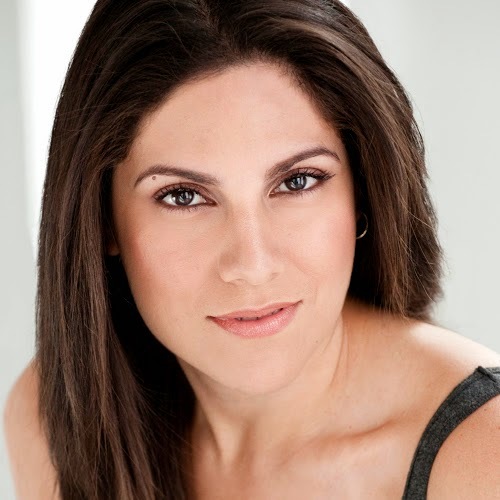 María Cotto booked an industrial film from Next Millennium Productions. Cedric Leiba, Jr., is co-starring in Marchers Trilogy. Produced by Pregones Theater-Puerto Rican Traveling Theater, the piece is inspired by three previous works produced by Pregones– The Wedding March, ¡Ay Jesús! Oh, Jesus! and Peccatoribus. Based on texts from over 15 writers (including Jesús Ortiz, Bertolt Brecht, Kurt Weill, Walt Whitman, Alvan Colón, Rosalba Rolón, Judith Ortiz Cofer and Sandra María Esteves), the piece is directed by Jorge B. Merced (with musical direction by Desmar Guevara) and be presented in November at the Pregones Theater space located in the Mott Haven area of the South Bronx. For more information, click here.